A Consumer Reports investigation has officially confirmed what those following the electric vehicle industry already knew: traditional dealers can be really lousy at selling EVs. Buying a car through a dealer is already not most people’s favorite experience. Buying an electric car through a dealer? Some may be enthusiastic and helpful, but for others prepare to either know more about the car than the salesperson or resist attempts to steer you toward a conventional vehicle. The trusted magazine Consumer Reports sent out 19 undercover representatives to investigate the EV buying experience at 85 dealerships across four states (including California) in a four-month survey, and they came away with mixed reviews but were frequently underwhelmed. The CR reps were prepared with plenty of frequently asked questions about electric vehicles: tax credits, charging needs, range, battery life, warranty, and so on. One of the magazine’s most important findings was the strong correlation between salesperson knowledge and training and their inclination to encourage shoppers to buy an electric vehicle. The magazine found that Chevrolet, Ford, and Nissan sales reps were generally more knowledgeable than those of Honda and Toyota. This reflects the disparity between the companies that have invested in plug-in vehicles and those that focus on fuel cells. Consumer Reports also found that only 15 of the 85 dealers surveyed had more than 10 plug-in vehicles on the lot, limiting the options of electric-minded consumers. Curiously, those with few or no electric vehicles in stock cited polar opposite reasons, either high demand or “lack of consumer interest.” Overall, 13 of the 85 dealers outright discouraged the shoppers from going electric while 35 recommended a gas-powered model instead. On the whole, the numbers aren’t terrible. Clearly some dealers really do want to sell electric vehicles, and not many actively tried to talk consumers out of buying an EV. However, it is the anecdotal evidence from Consumer Reports and countless other sources that is truly frustrating and dumbfounding for proponents of electric vehicles. 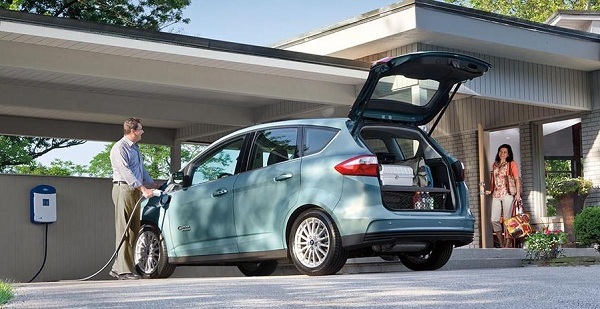 Consumer Reports stated that one of their investigators was told the Prius Plug-in battery had to be replaced “every few years,” while a Ford dealer told one CR rep that there is no Focus Electric, and once proven wrong claimed that it could not be leased. All of these statements are downright incorrect, probably intentionally so. Cases like these are reported all the time by frustrated EV shoppers; a prime example from a Tesla forum describes how an Electric Vehicle Program Manager for a utility company attempted to buy a C-Max Energi and was told three times that he didn’t want one, despite repeated attempts to explain otherwise. Agree or disagree with Tesla’s direct sales model, it is undeniable that the company has valid reason for skipping the traditional dealers and Consumer Reports’ findings support that assertion. Electric vehicles sold alongside their gasoline counterparts, particularly by dealers that are more comfortable with and make more money from the conventional vehicles, are placed at a disadvantage. The benefits of electric vehicles must be properly explained, and Tesla’s model allows them to educate their sales reps to be well-informed on the unique qualities of the EV experience. On a related note, the Federal Trade Commission released a blog post this week from several staff members (not necessarily reflective of the views of the FTC as a whole) coming out fully in support of Tesla’s direct sales model, citing “new technologies and business models that can and have disrupted stable and stagnant industries” to the benefit of consumers. It sounds like the FTC is on board with Tesla, which bodes well in their fight to sell their electric vehicles without any apathetic dealers. wish more EV manufacturers would follow Tesla's lead. Order what you want on line and pickup at the local dealer when the car comes in.